Maggie is ready for her next adventure – she will be zooming into preschools everywhere with her bag of teaching tips, meaningful lessons, and suggested materials guaranteed to excite your eager learners. Fresh from a successful school readiness workshop at the National Head Start Conference in Washington, D.C., Maggie’s creators share their classroom-tested ideas. Check back in July when we’ll be adding oodles of fun to Maggie’s Big Home. To get you started, we hope you’re thinking about how to develop phonemic awareness with your young learners. Try using Anna Dewdney’s delightful Llama Llama books from Penguin Publishing. Read aloud the gentle rocking verse, pause, and invite young listeners to supply the rhyming word. Remember - knowing how to rhyme is an important step in developing good readers. And for summer fun, download our coloring sheet. Encourage children to add details showing what this llama is doing. 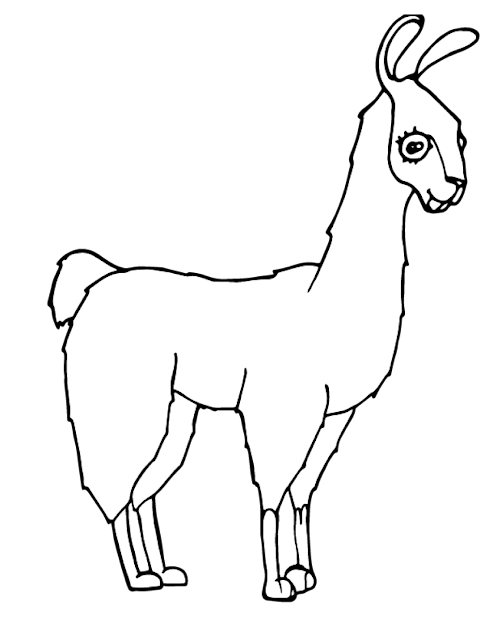 Invite children to think about real llamas as they complete their pictures. Be sure to visit our parent site at www.missmaggie.org for lots of educational games and cartoons.